Okay, what do you think of this cover? Is the picture of the man and woman too subtle? I’ve been working on it and this is one I like the best so far. 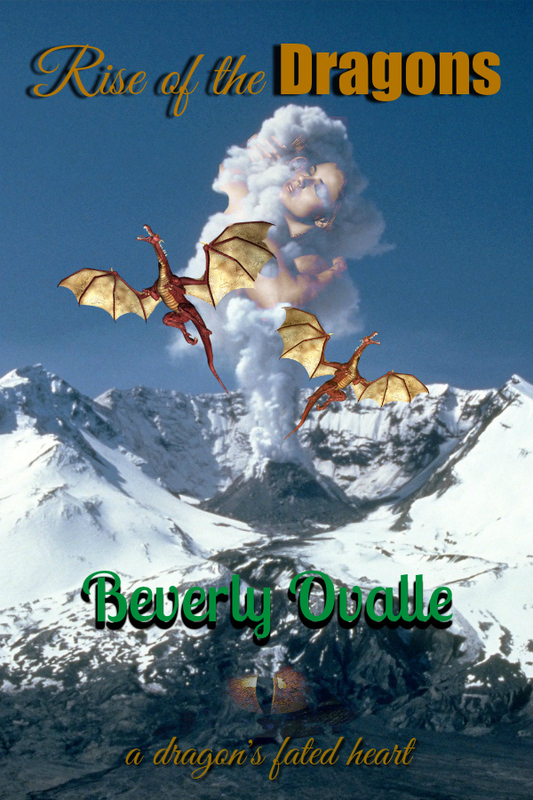 Rise of the Dragons is in edits. Suggestions have been made and I’m expanding it. NOT into full length! It will still be a short story, but larger than I had it come out in serial. So, soon! So, would the cover draw you in? Or not? What do you like or don’t like about it? Trick or Treat! Halloween Giveaway! Today won’t be the next installment of Lightning Strike-that will be next Saturday. Today I’m doing a giveaway! I had an awesome haul at #MBLU2016! So, I’m sharing! I have two sacks of goodies! Trick or Treat lol. One will be a giveaway with the rafflecopter here! The other will be a giveaway with my Newsletter Peeps. So, if you want a chance for both you’ll have to follow me on my newsletter. 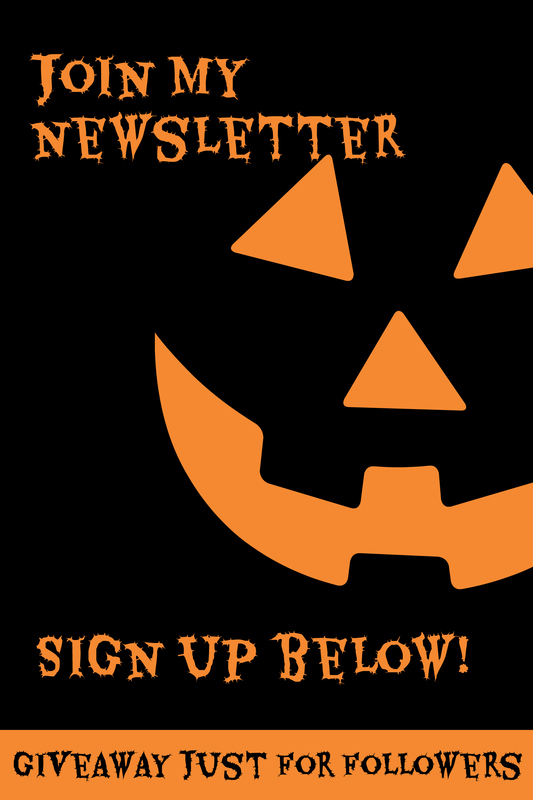 Each Newsletter I do a giveaway, but I’m a bit erratic at putting it out. It’s turning into more of a quarterly thing. So, see, I don’t pester you much! Instructions for entering that giveaway will be in my upcoming Newsletter (Oct 31) so sign up now! Keep reading to enter the giveaway you see above! So, just for fun, what are you going as for Halloween? Do you party or stay home? Hand out candy or hide in the house? Do you take a little (or not so little) one out to collect their own? Inquiring minds want to know! 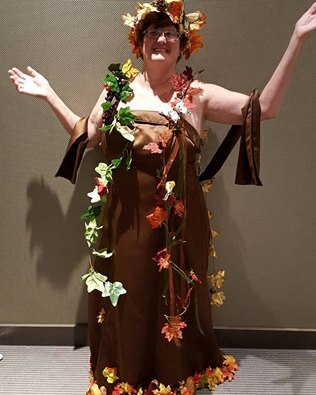 Here is what I went as this year! It was for the paranormal party this year at MBLU2016! And Mother Nature had lots of fun! I’m sorry, I have to restrict it to US peeps since I’ve had trouble sending overseas. However, I don’t want to NOT have a prize for my overseas peeps! So if you enter and win I’ll gift you an ecopy of Romance for Charity! 15 books in one! Last day to enter is Nov 4! Keep checking us out through Halloween. 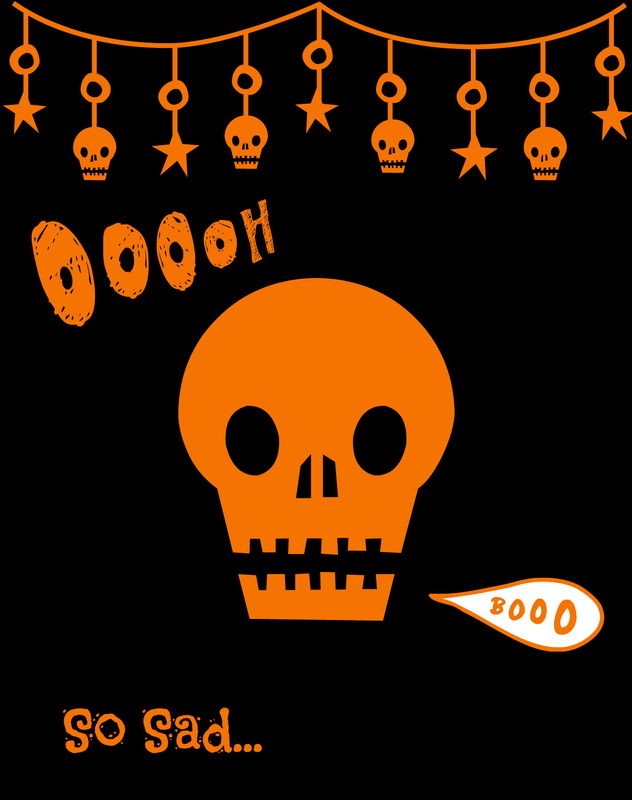 Awesome Sales listed tomorrow and all the Halloween Reads you could want on Monday Oct. 31! Join the Party ~ Today! Don’t miss it! 12 hours of fun and prizes! Starting at noon EST/11:00 CST I’m celebrating my birthday month and my new release Stealing Hope. 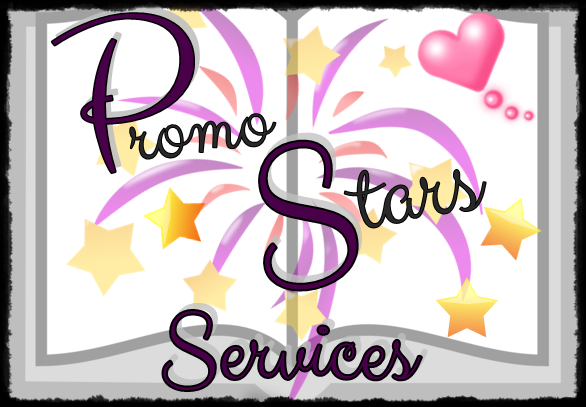 Come celebrate with a long list of paranormal authors! 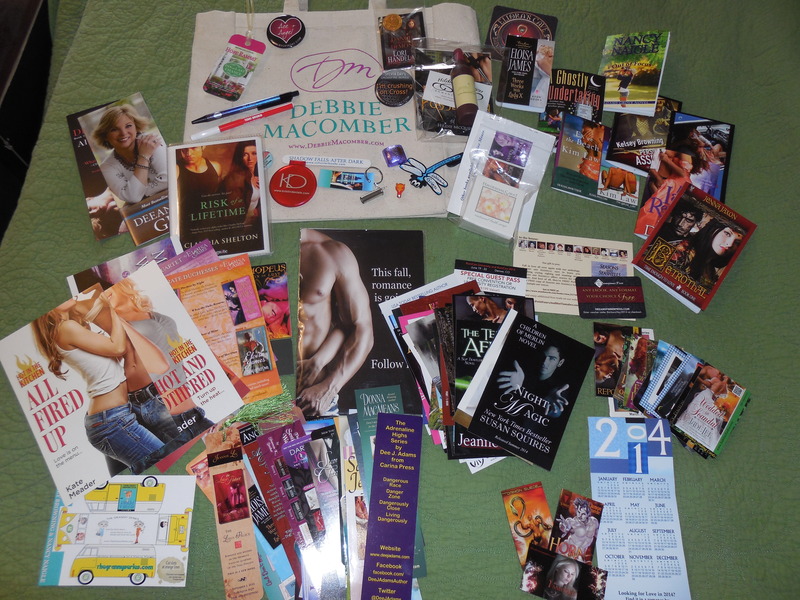 Lots of giveaways and new authors to find, along with some bestsellers! Check out the list of attendees. Writing always came naturally for me. 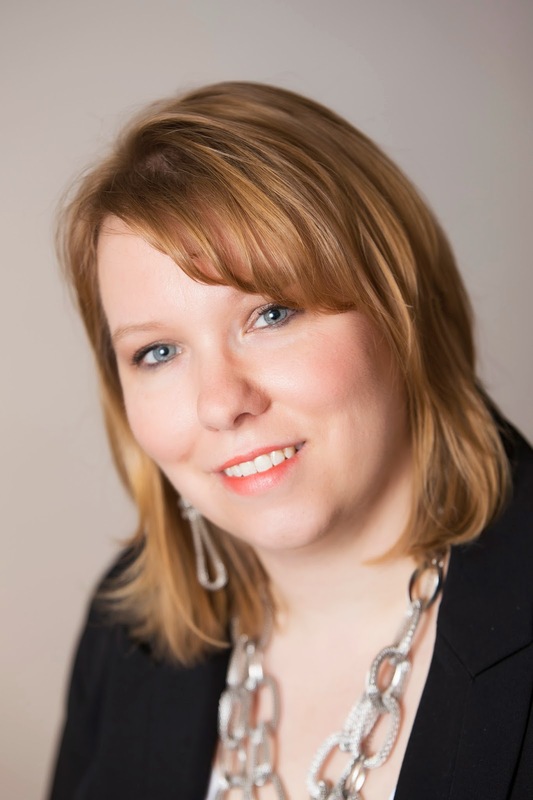 As a child, I hit the ground running when it came to reading, and writing was the obvious progression for me. I wrote a lot through the years—A LOT—but didn’t try to have anything published until I was in my 40s. I like to believe it was God’s timing, and not my being lazy, because the first thing I submitted (The Covering) was accepted and published by Pelican Book Group. 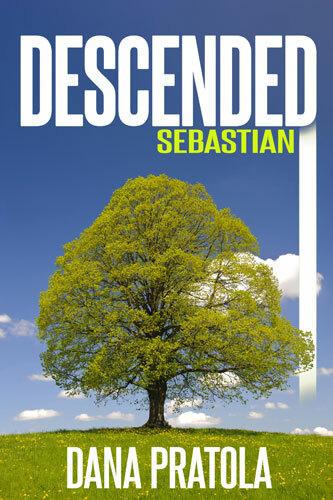 I have two more books releasing with them soon, but the Descended series is an indie project. The series is about four men with angelic powers, who are destined to come together at a specific time for a specific purpose—to fight sexual slavery and abuse in its many forms. And, it’s romance, so of course, there are the strong, intelligent, sometimes vulnerable women, best suited to handle each individual hero. JETT (Descended, Book 1) and SEBASTIAN (Descended, Book 2) are available now in e and paperback. AARO (Descended, Book 3) and ULRICK (Descended, Book 4) are coming in 2015. Can’t wait!!! Sebastian turned to find the artist, herself, and his breath halting for the second time that evening. Not dainty, exactly, but petite, with full features and calming brown eyes. She was absolutely lovely. Her smile bloomed the same time as his. His brows drew together in confusion. “Yes. Have we met?” Not that he would forget if they had. She tipped her face up to him, giving his closer inspection. “Hmm. I should have known you aren’t the devil personified, as I’ve been told.” Then she burst out laughing. “My husband,” she said, in answer to his unspoken question. He saw his client, Marcus, coming toward them. Sebastian had forgotten he was the artist’s brother—and Jett Cestone’s brother-in-law—until Marcus leaned down and kissed her cheek. “Glad you could make it,” Marcus said. “I’m having more fun than I’d anticipated,” Sebastian replied, with a smile for Haven. “Jett.” Haven shot him a stern expression, which he volleyed back. Haven took his arm, ignored her husband’s growl, and steered Sebastian away. But, he could feel her tension, the escalating trepidation. Certainly not fear of her husband personally, but possibly what he might do to him. And there was more unease, seemingly unrelated to this evening, but definitely related to Jett. Something of a deeply personal nature. He wouldn’t add to her stress. They stopped at a few pieces, commenting on detail and technique, before he turned to her. “No,” Jett answered behind him. Haven chuckled and took her husband’s hand. “Aren’t deities supposed to be munificent?” Sebastian asked. Jett had a powerful aura, that was true, but Sebastian had a few gifts himself. And an aversion to being pushed around. He lifted his head and looked down his nose at his challenger. Sebastian seldom felt this degree of hostility coming from one person. A side table rocked nearby, but no one seemed to notice except for a man dressed all in black, who steadied it with one finger while looking nonchalantly around the room. Telekinesis? Really? He had his own, but not to the degree it seemed evident in Jett, almost uncontrollable. With that, she stalked away, bouncing all that luxurious brown hair as she went. They’d just married. Not a big society event, just a private ceremony at home, so the internet said. Visually the two made a striking couple. Personality-wise, Sebastian couldn’t see how they’d gotten together. Maybe he’d misjudged Jett. There must be more to the man than a head for business and a boorish need to control. But, she was his wife, and that was a line he never crossed. “And you could wind up—” Jett’s eyes snapped to Haven, watching across the room. “…having a wonderful evening,” he finished, before hurrying after her. Sebastian chuckled. So she was his Achilles heel. And who could blame him? He gave Haven one last look of simple male appreciation and headed for the other end of the room. It was too dark to see the woman’s face, but Jax recognized something about her. Streetlights ran over the car, creating a quick shadow before slipping back into the night. He couldn’t get a good read on her face. Even with her strange blonde hair and oddly matched clothes, Jax remembered the decoy. This woman reeked girl-next-door wholesomeness, but without direct light he couldn’t place her, underneath the heavy makeup and the two-times-too-small Hello Kitty tank she wore. “I know you,” she said. It came out in a hushed whisper while they sped down Wacker Drive. The underground tunnel had dangerous twists and turns. “I-I-I remember—” she stuttered with a bit more panic lacing her voice. A sedan whizzed past them, missing the sports car by mere inches. To overcompensate for the close call, she jerked the wheel too hard, careening them into a massive spinout. Adrenaline thrummed through his veins, and Jax reached over to grab the steering wheel. “Put your foot on the brake,” he instructed as they continued to spin in the opposite direction. She didn’t utter a single word, not even a peep, while Jax maneuvered the car into the slide. Almost too late to save them, Jax noted very few cars passed them before they spun out over the median divider. “I know you,” she wheezed. The woman dropped her head on the wheel. The car idled in the middle of the road as Jax tried to calm her down. “You’re going into shock,” he told her. “I need you to take three deep breaths, hold for five seconds, then exhale. Come on, I’ll do it with you. 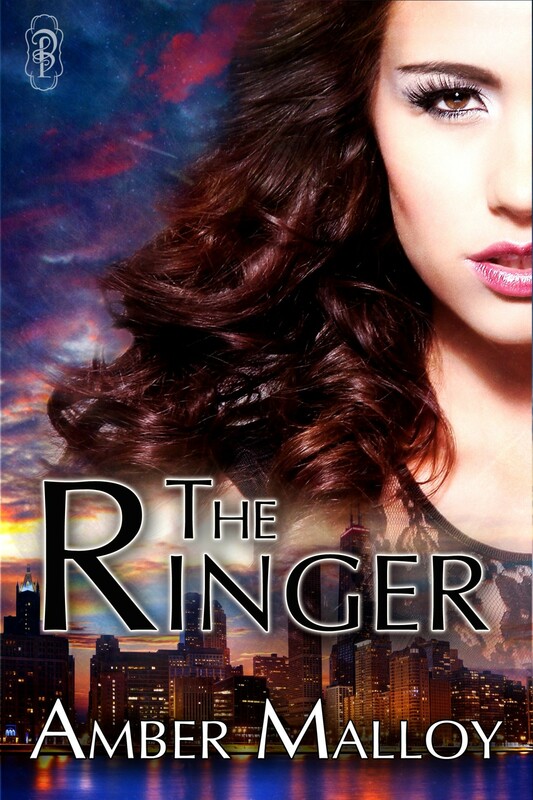 One.” Getting close to her, he inhaled and waited before he released. After a moment she began to follow his lead. Once they got through their first repetition, she had calmed down a bit. “Hot,” she said before she snatched the blonde wig off and shook her dark hair loose. The light from the street caught her eyes. Jax gazed into her dazzling green globes. I went on April 26th to Barbara Vey’s Luncheon. I had a ball. The first time I attended it there were around twenty authors. It had grown to SIXTY this year! A total madhouse but so much fun. Now, I tried something new. I bought a video camera for some upcoming videos, so I shot some of the Luncheon. I caught Barbara speaking and Debbie Macomber. It’s pronounced May-come-er. However, I haven’t been able to figure out how to transfer them here! If I do, you will see them. If not, well, consider yourself lucky! haha. 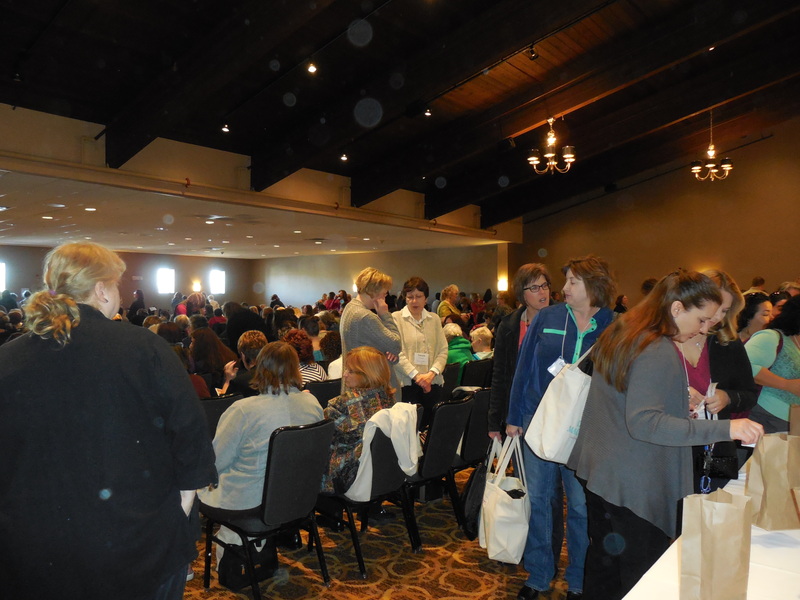 Here are pictures of where the raffle bags were. Standing room only by the time I made my way in! 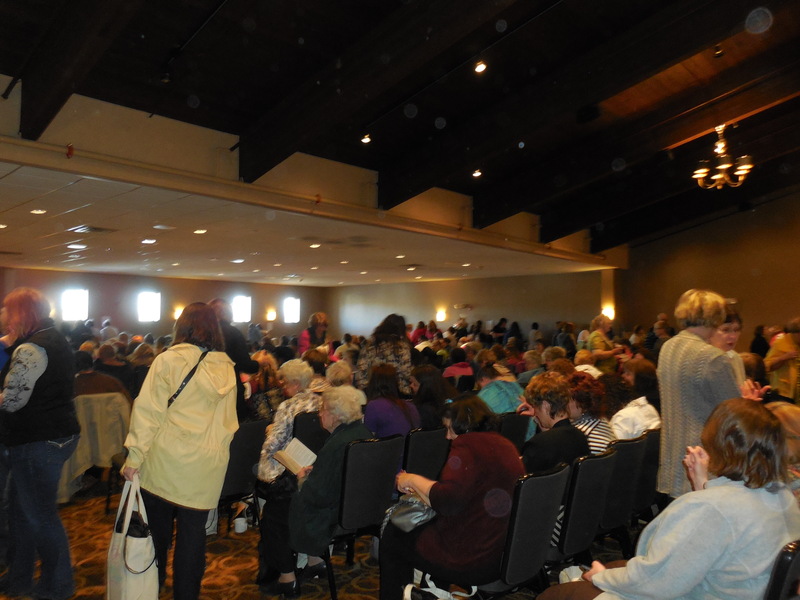 A nice young man brought out chairs for me and a couple of other ladies that were lining the walls! I was handing out my SWAG and A Saint’s Salvation seemed to be a hit. When I admitted my son was a Marine and showed his picture, I almost didn’t get it back! His picture garnered a few kisses, LOL. They all agreed he was a handsome young man. I got autographs from all but three authors! Met the author, Jason Mott whose book The Returned inspired the TV show Resurrections. I caught him on his way to the airport to catch a plane so we didn’t grill him too much, lol. He said the show follows his book about 70%. Isn’t that awesome? A very nice man with a good sense of humor. There were so many talented authors there. I sat at Katy Lee’s table. 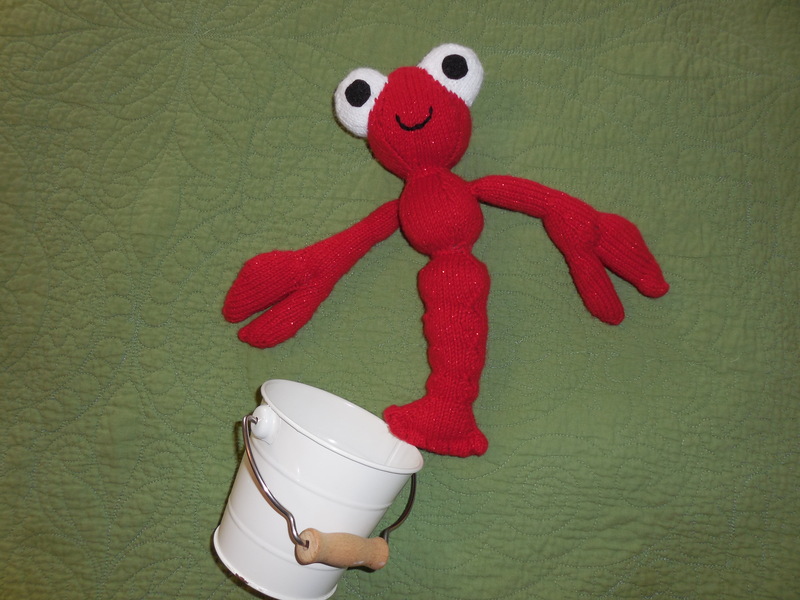 Her suspense romance novels are set in Maine, so she had little pails, with saltwater taffy, a chocolate cranberry bar, a lobster cookie cutter, a sea side printed oven mitt, and awesomest of all she knitted a lobster to top it off! Katy Lee’s Lobster! Isn’t it cute! She said she started making them in August of 2013 so that she had them done! She finished in March. She is the sweetest thing! Home schools her children which is really brave considering they are now 11, 12 and 13! 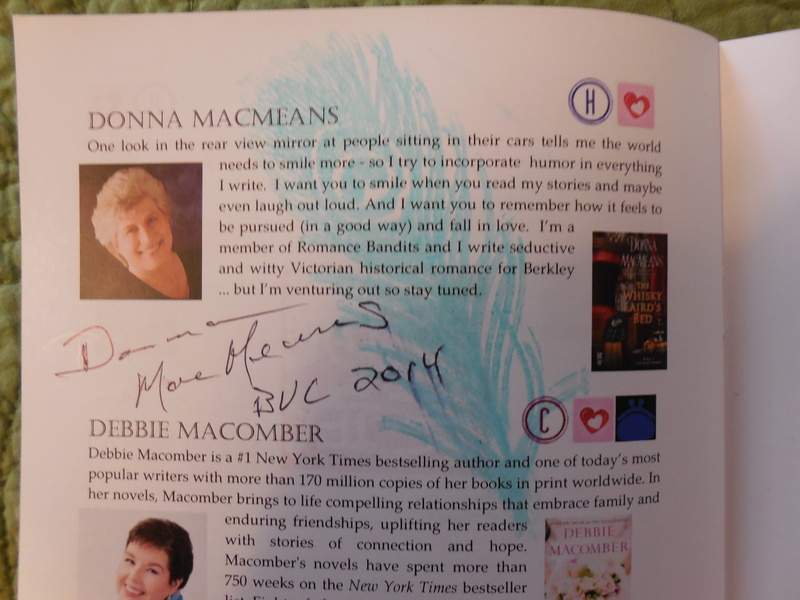 I had a nice chat with Donna Macmeans who sat at the table next to me. Loved her hat! She has a slight, slight, obsession with peacocks. LOL! She even signs her autograph with a peacock feather stamp! 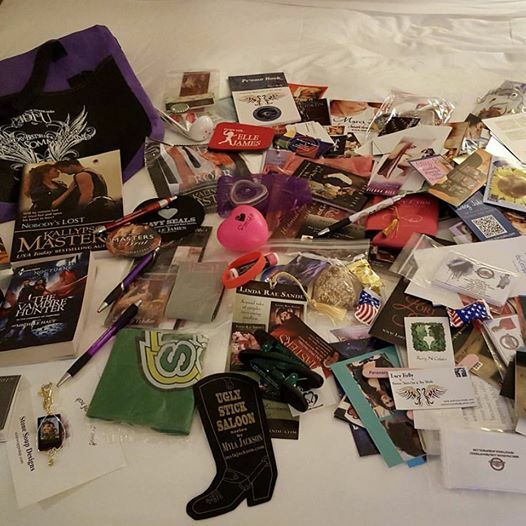 Make sure you enter the rafflecopter for some of the wonderful SWAG I got from there! Soooo…if you win it! Go through it! Enjoy it!